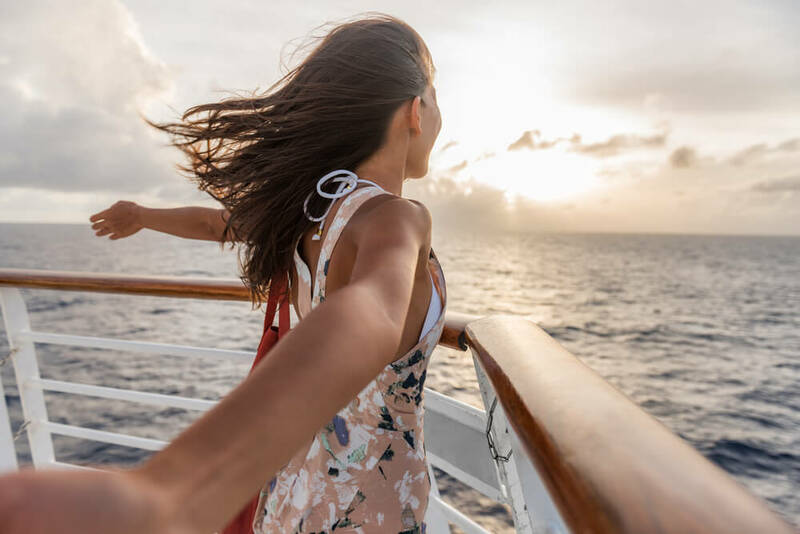 “Meet me on the Lido deck!” Learn what that and other cruise ship lingo mean so you don’t get lost on board! If you’re planning a cruise soon, it’s helpful to understand cruise ship lingo. Whether it’s your first, second, or third cruise, there are always new things to learn. If you’re excited about an early morning activity taking place on the bow of the ship, you don’t want to miss out by going to the wrong location! Learning cruise ship phrases before your vacation will help you feel at ease onboard your ship. Avoid getting lost looking for shops, entertainment, or activities by learning the parts of a cruise ship. Click here to browse our last minute cruises! Hi Cesar: I want to Thank you so much for putting together a professional quote for us. I have dealt with a lot of travel agents and sometimes I feel like I'm the agent because they don't get me the info I request and I end up looking in the computer for the information myself, so again, thank you for your time and professionalism. I will recommend you to others when asked about a travel agent. — Victor and Pat C.
As always, here at CruiseExperts.com, we strive to make your cruise vacation a wonderful and memorable experience. We have assembled a cruise ship vocabulary list containing common phrases and words you will hear and use while sailing. Cruise ships come in various sizes and offer different experiences to travelers. It’s important to decide on the type of cruise you want in order to book your vacation on the right style of ship. Each is unique, and each has its own special charm. Below is a list of the names of the main types of cruise ships. The majority of cruise lines fall into the category of mainstream ships. The ship is a vacation in itself with special club activities for children of all ages; special adult activities, spas, gyms, swimming pools, water slides, restaurants, nightly entertainment, casinos, restaurants, and lounges. You can also go shopping, visit art galleries, learn to dance, and enjoy all the amenities of a resort. This type of ship can accommodate between 850 and 3,500 passengers. Carnival, Disney, Royal Caribbean, and Norwegian are mainstream cruise ships. The luxury ship may be large or small and often caters to longer cruises and exotic ports. Luxury lines include Cunard, Seabourn, Regent Seven Seas, and Silversea. Prices for these cruises cost more, but they also include popular amenities, such as complimentary drinks, 24-hour room service, luxury state rooms, and more. Adventure ships are frequently sail-powered and are able to reach those ports that are inaccessible to large cruise ships. Although these ships are smaller, they do offer a number of luxury amenities. Travelers who like out-of-the-way places enjoy adventure ships. They can pull into small ports in wonderful places that can’t be reached by larger ships. River cruises can fall into this category. Windstar Cruises, Lindblad Expeditions, Ponant, and Australis fall in the adventure ship category. Megaships are a new class of vessel that can carry over 3,000 passengers. Mainstream cruise ship lines feature these megaships that have expanded choices in activities, entertainment, dining, and lounges as well as more and larger accommodation options with private patios. Royal Caribbean’s Voyager class and Freedom class are the largest ships in the world.